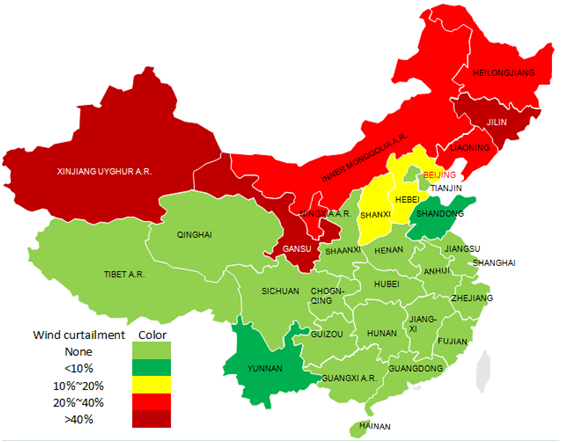 The Northern regions — western, central, and eastern — are both major wind resource and wind curtailment zones. The map below highlights the curtailment levels by province. These areas are low population, high installed capacity areas, where power needs to be exported or else it is underutilized. Azure provides curtailment modeling and consulting services to forecast curtailment levels in the future. 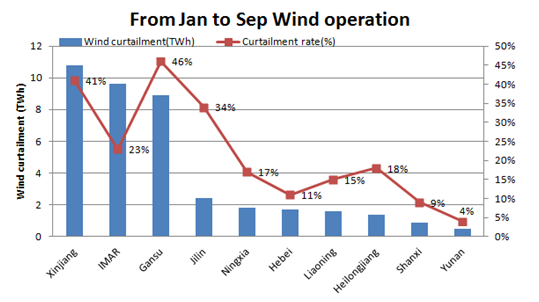 Azure maintains a database of historic, planned, approved, and in-construction wind farms across China, and is able to help forecast future wind power penetration and curtailment rates at the provincial level. Targets for total electricity capacity by 2020 to reach 2 TW, up from 1.5 TW in 2015. Non-fossil fuel capacity is planned to reach 720 GW or 30% of total capacity. Wind capacity is planned to reach 210 GW by 2020, including 5 GW of offshore wind. 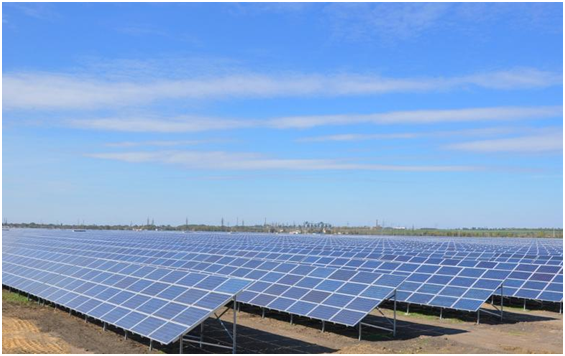 Along with renewable capacity expansion, the development plan includes concrete benchmarks for mitigating renewable curtailment, with the NEA calling for renewable curtailment to be limited to a "reasonable level" of 5%. National curtailment levels for wind and solar in 2015 were 15% and 13%, respectively. The plan also calls for implementing power trading spot market trials by the end of 2018, and a national rollout of spot markets by 2020. We expected overseas acquisitions to continue as domestic PV projects face lower tariffs and stiff solar curtailment. 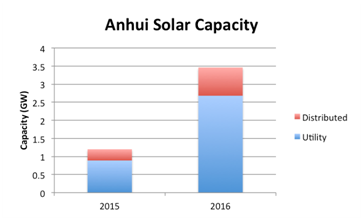 The national curtailment rate for 2015 was 13%, however, provinces with higher solar penetration such as Gansu and Xinjiang have been experiencing curtailment rates as high as 32% and 33%. Note:The FITswill be put into effect from the projects’ start date until the end of 2021. 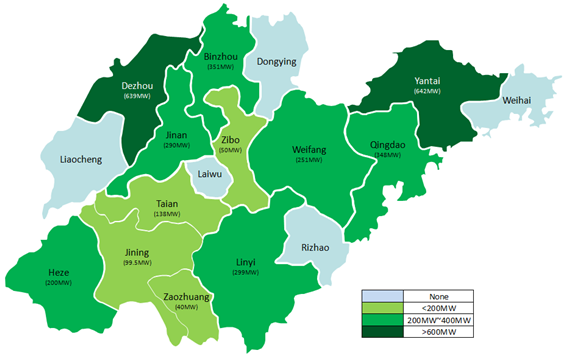 The starting point of the project is located in Dali Prefecture, Yunnan Province. 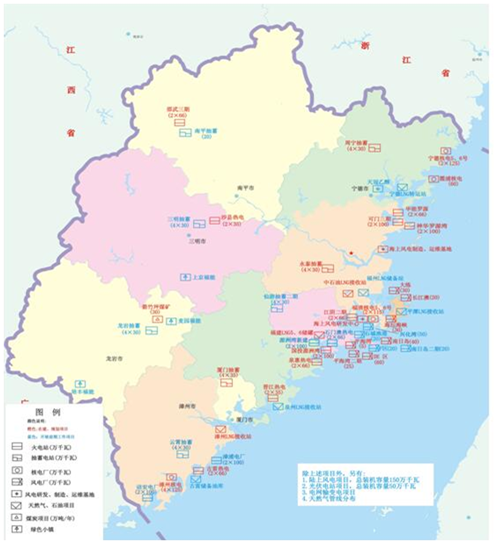 The line runs through Yunnan, Guizhou, Guangxi and Guangdong Provinces, with its endpoint located in Shenzhen, Guangdong Province. With a total length of 1,928 kilometers, it is the longest transmission project of the Southern Power Grid. The project relies on a ±800 kV DC transmission technology with a transmission capacity of 5GW. ”Industry Directory for the Promotion of Foreign Investment” actively encourages more foreign investment in modern agriculture, advanced manufacturing, high-tech, modern service industries, etc., giving foreign capital a larger role in the transformation and upgrade of traditional industries, the development of emerging industries and the promotion of a sound economy in China.